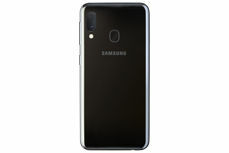 Samsung Galaxy A70 is a phone with a fairly large, 6.7-inch Super AMOLED screen with a resolution of 1080x2400 pixels. 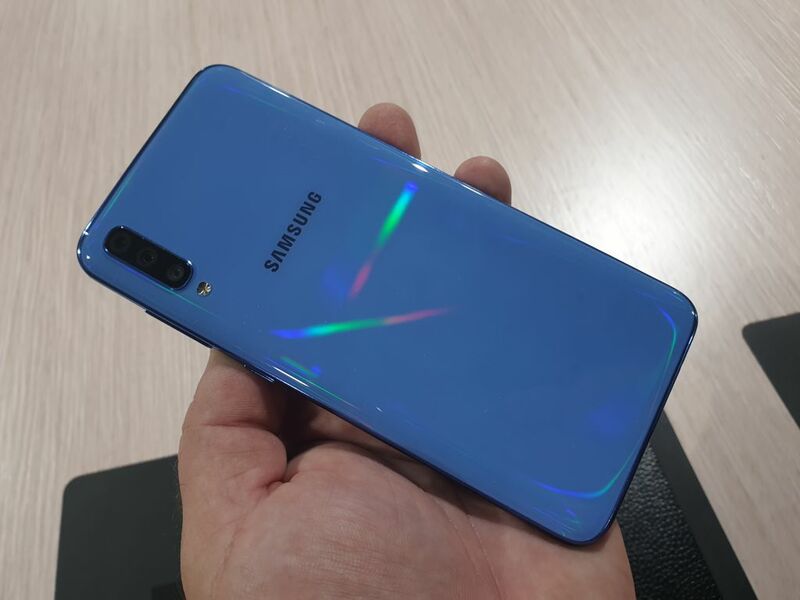 Thanks to the narrow frames of the screen, it was possible to maintain a reasonable housing size. 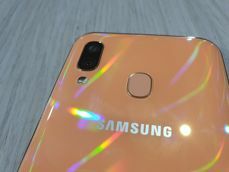 The display border is diversified with a droplet notch, covering a 32 megapixel front camera with a f/2.0 lens aperture. 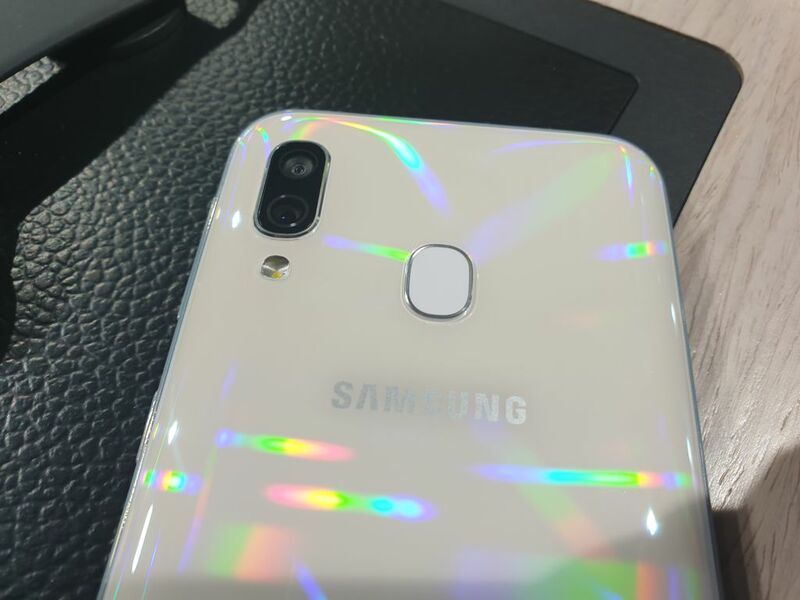 A fingerprint reader has been integrated into the screen. 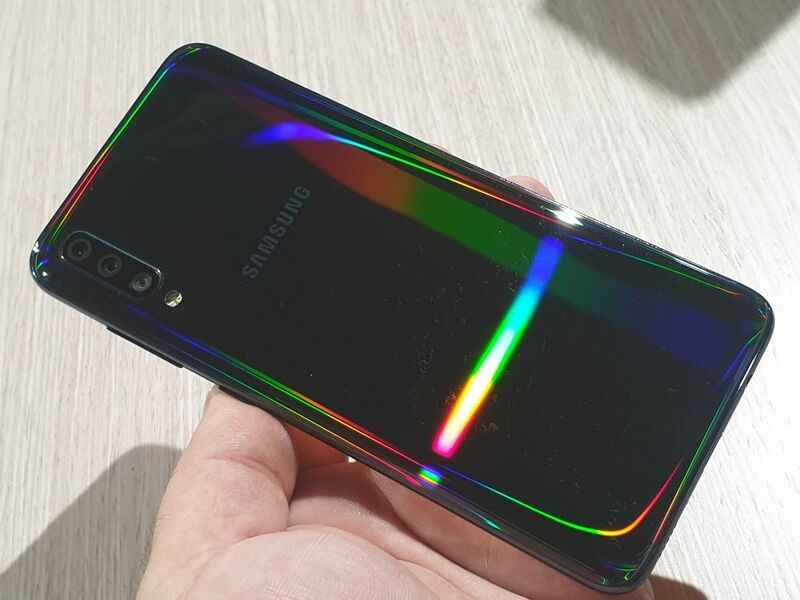 The smooth back of the phone crosses the protruding photo frame. 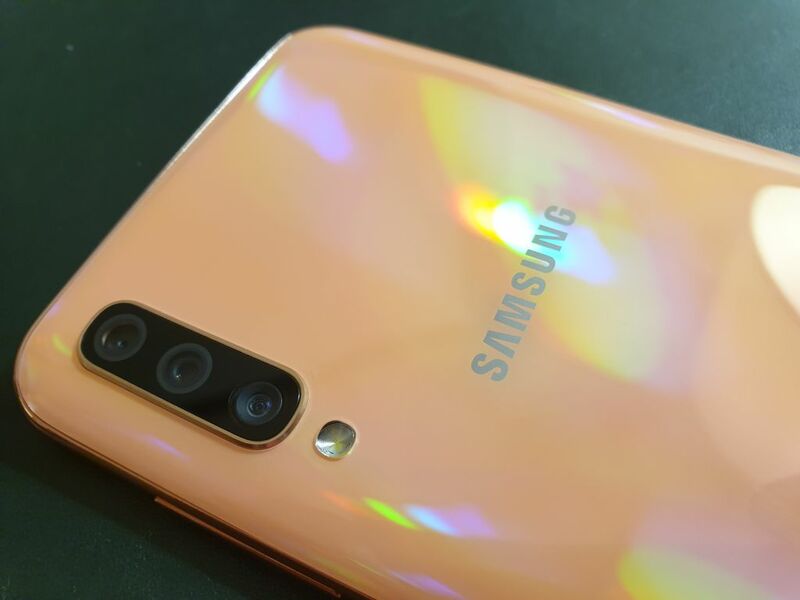 The camera has a main matrix of 32 MPx f/1.7 and an additional, 8 MPx, but with an ultra-wide lens f/2.2 with a field of view of 123 degrees. The third matrix is 5 MPx f/2.2 to blur the background. The heart of the phone is an octa-core processor, with two cores clocked at 2 GHz and six with clock 1.7 GHz, supported by 6 or 8 GB of RAM. The internal memory will hold 128 GB and can be enlarged with a 512 GB microSD card. 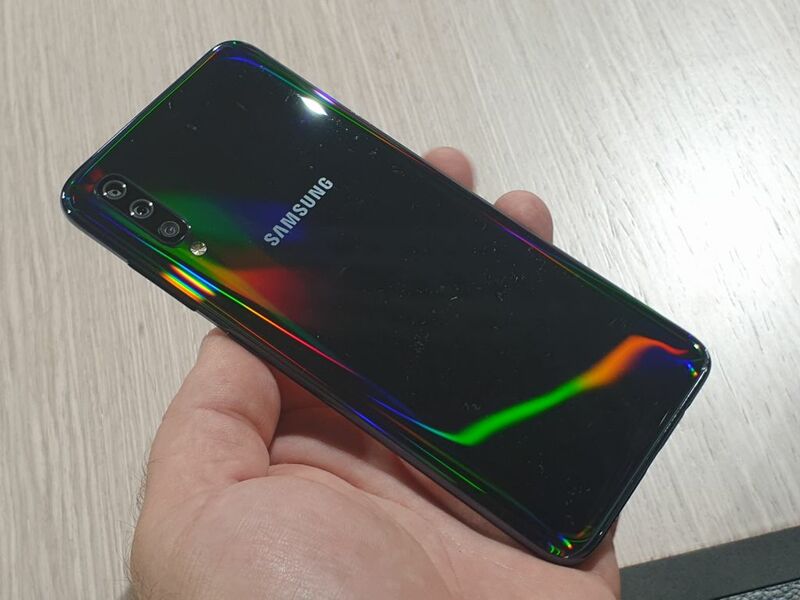 What is important, there will also be DualSIM - and without a hybrid, there are three places for cards. 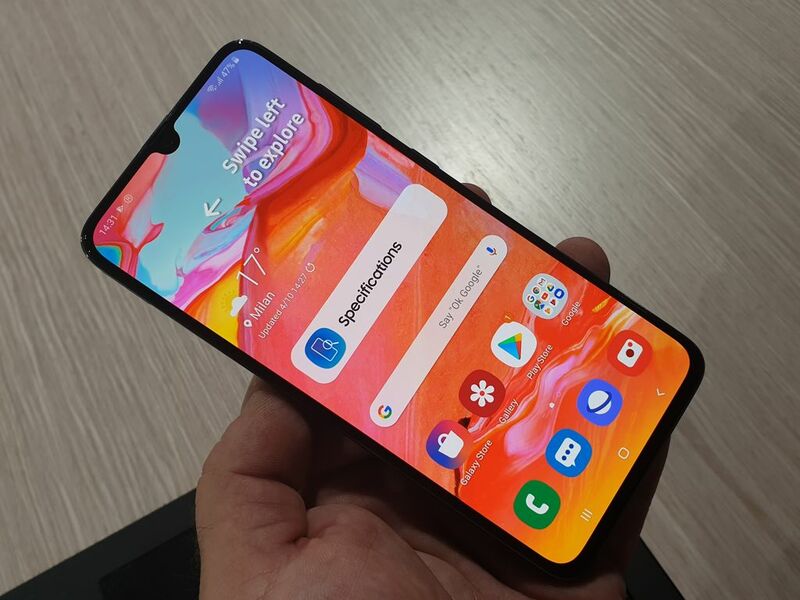 Connectors and buttons are placed in a classic way, not forgetting the minijack or USB-C sockets... Of course, there are also Bixby and Knox solutions, and everyone manages the Android Pie with the One interface. 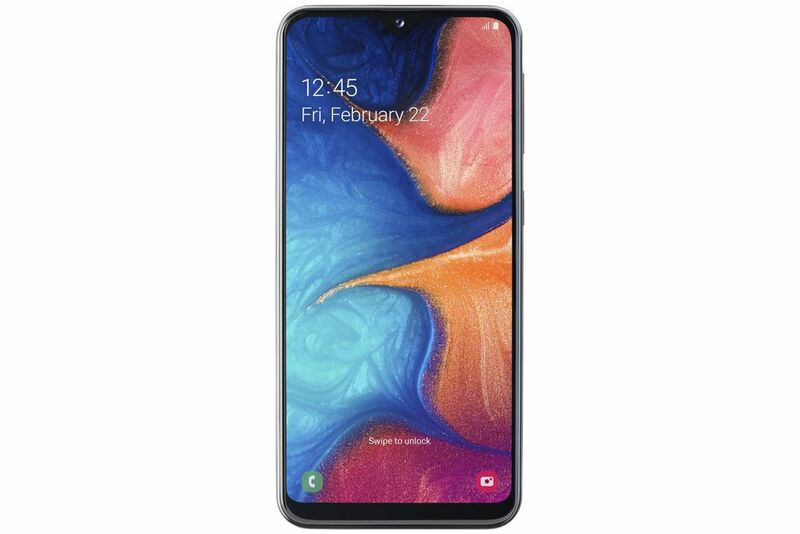 The large screen of the phone requires a lot of energy, so the battery should not be small - and it is not. 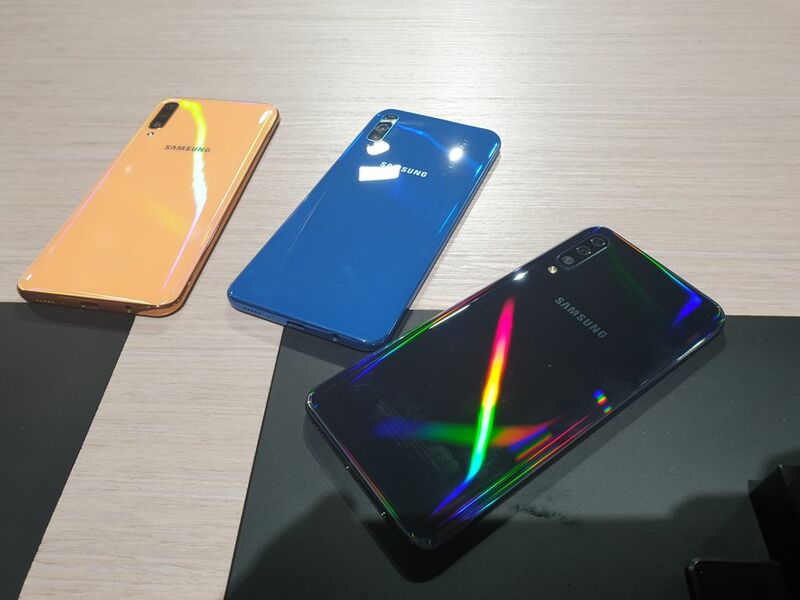 It has 4500 mAh and fast charging of 25 W. Samsung Galaxy A70 is offered in three colours, coral, blue, black and white, all with a gradient. The housing design was called 3D Glasstic. 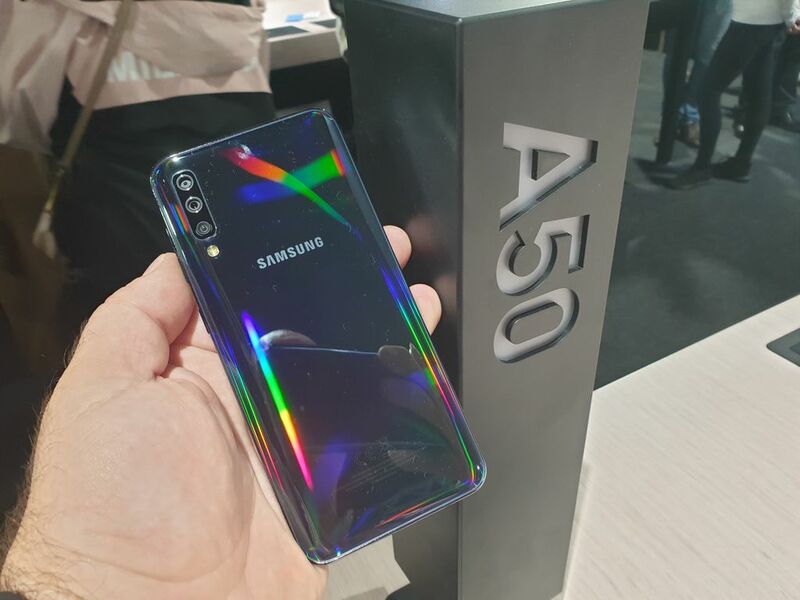 Galaxy A50 is equipped with a 6.4-inch Super AMOLED Infinity-U screen with a resolution of 1080 x 2340 pixels, the droplet notch fills a 25-megapixel selfie camera. 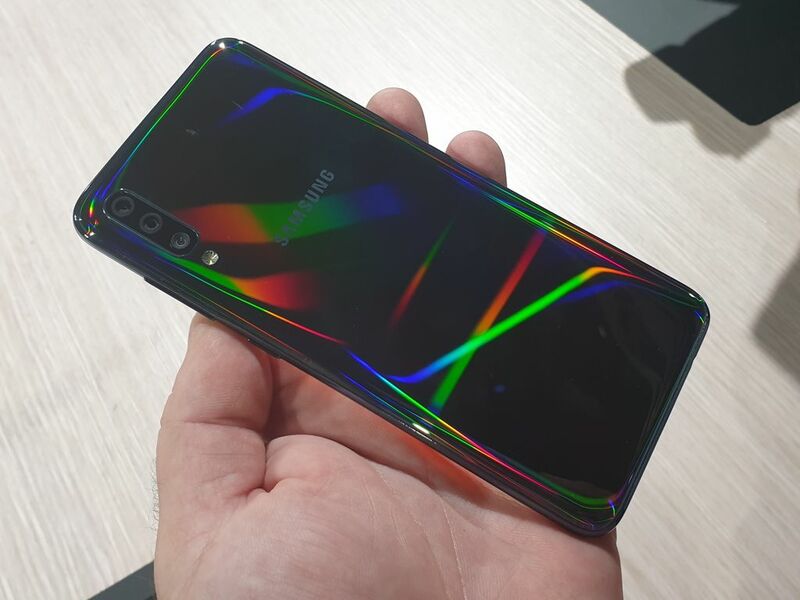 The screen has a fingerprint scanner. 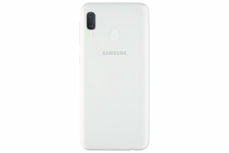 However, on the back panel of the phone there is a triple camera (25 MPx AF f/1.7 + 5 MPx FF f/2.2 + 8 MPx FF f/2.2). 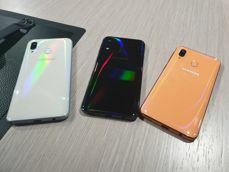 Samsunga Galaxy A50 powers a fast-charging battery with a capacity of 4000 mAh. The phone is offered in four colours: black, white, blue and coral, inspired by diffused light. 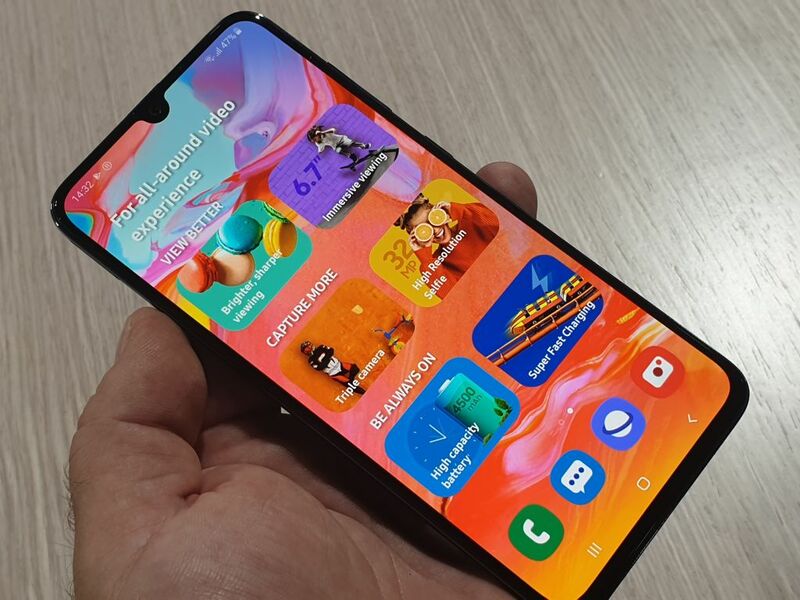 The smartphone with 4 + 128 GB memory is priced at 380 euro. 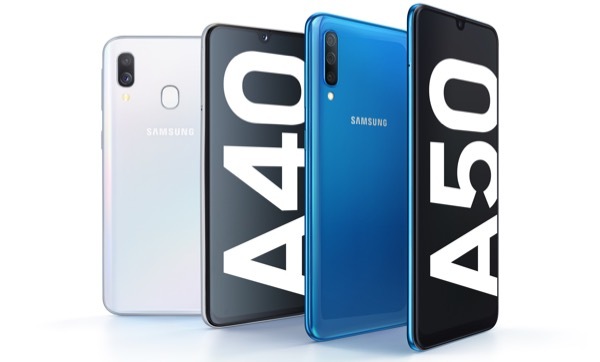 Samsung Galaxy A40 is designed for those who care about a small size of the device, but do not want to sacrifice high performance. An Infinity-U screen with a diagonal of 5.9 inches provides a good visual experience on a device that fits comfortably in your hand. Regardless of the content displayed, the Full HD+ display, Super AMOLED provides a clear picture. 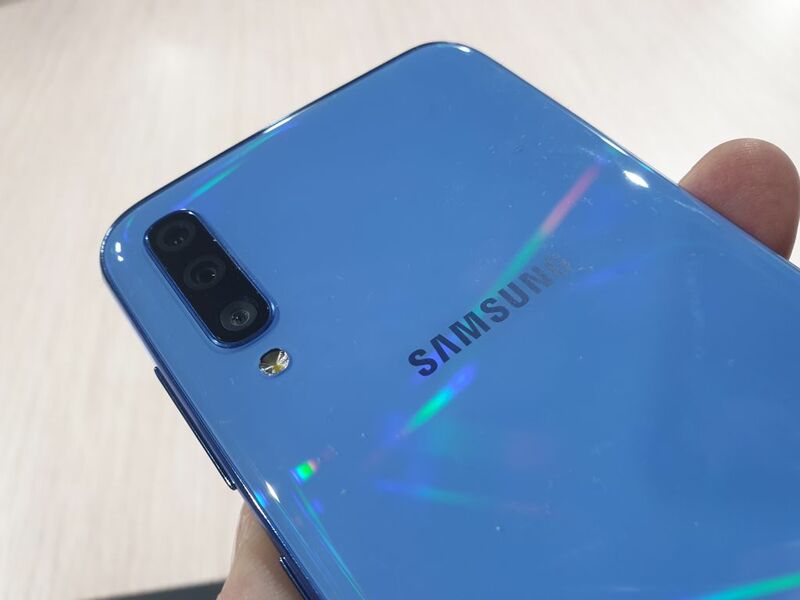 Galaxy A40 is equipped with a camera with two lenses, including wide-angle camera with a field of view up to 123 degrees. An additional support is the intelligent scene optimizer, which allows you to get the best out of every photo. 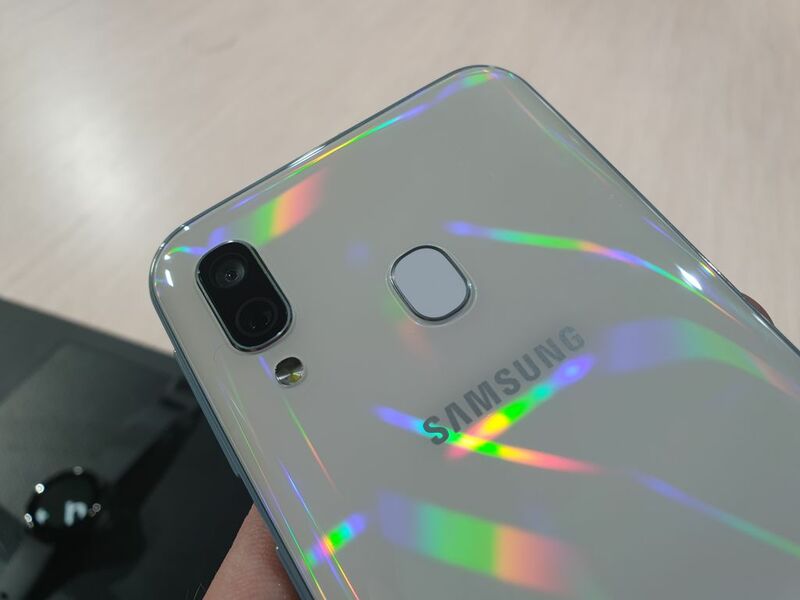 Noteworthy is also the front camera with a resolution of 25 MPx, which can optimize the over-exposed and underexposed photos. Thanks to this, photographs always look good. Galaxy A40 is also equipped with 15 W fast charging technology, which allows you to quickly restore energy. Samsung Galaxy A20e is a smartphone with a 5.8-inch Infinity-U TFT HD+ screen, an octa-core processor and 3+32 GB memory. 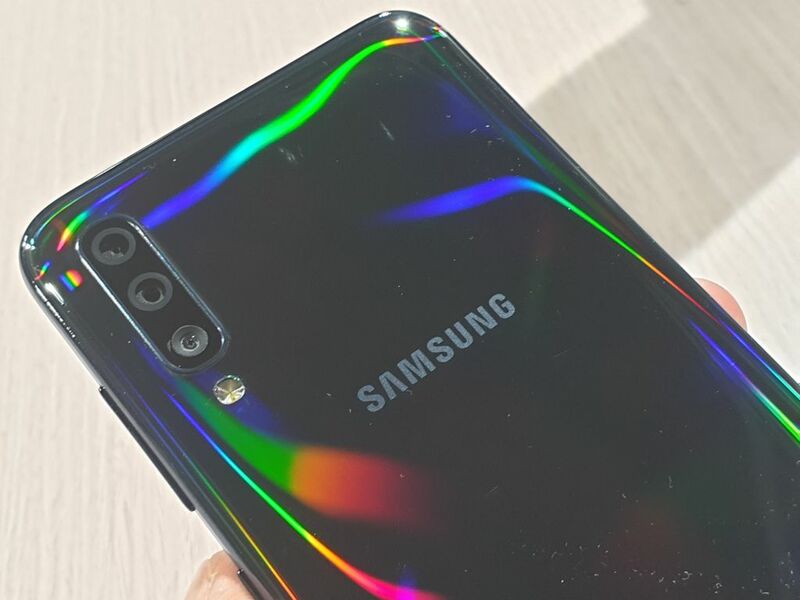 The phone has an 8-megapixel selfie camera with f/2.0 lens, placed in a droplet notch, as well as a 13-megapixel camera with a f/1.9 lens, assisted by a 5 Mpx f/2.2 matrix for background blurring. A battery with a capacity of 3000 mAh cares for the power supply. 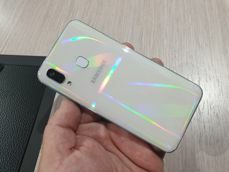 Samsung Galaxy A10 is the cheapest model in the A family. 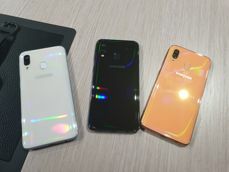 It has a 6.2-inch HD + (TFT) screen, an eight-core processor and 2+32 GB memory. The equipment also includes cameras: 5 Mpx f/2.2 at the front and 13 Mpx f/1.9 at the back. 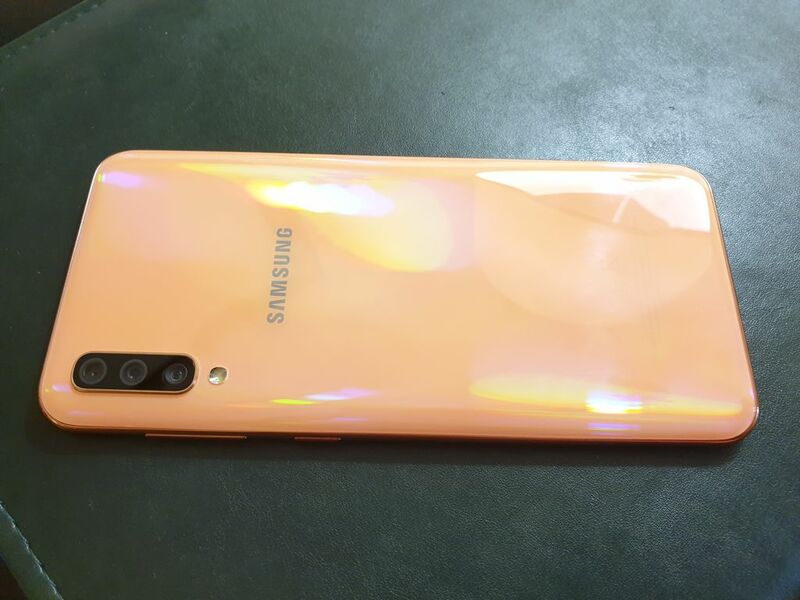 The device powers a 3400 mAh battery. Source GSMchoice.com; viewed: 242 times.